The story on the auto transmission adjustment you wrote ["Tweaking the Shift"], can you tell me if/how this is possible on a VS Commodore. The auto is starting to have a long wait for kickdown (a mate reckons I might need the bands or something tightened). If this adjustment you're talking about works on a VS auto then I'm willing to give it ago. Hey I'll even let my car be a test dummy if you like. Making modifications to a system that needs maintenance is never a good idea. Get the trans working as it should first. Whether a similar approach can be taken depends on how the engine load signal is transmitted to the trans. You'll need to investigate things further to find out. Auto trans are probably the last great mystery most of us don't understand. Yeah we know there's thin oil which gets heated and pumped pretty severely, but little adjustment tips like this are great. How do you do this on Falcons of late 90's where the throttle position is electronically sensored? Please consider more auto trans articles. Electronic intercepts of the load signal should be quite easy - if there's enough interest we will do a story on it. 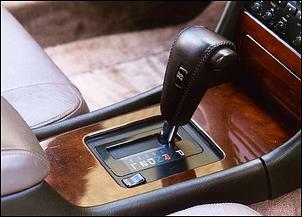 Liked your article on the nil cost mod to your auto gearbox. Another simple mod you might like to consider is to prevent torque converter lockup when you are not out on the highway. I had a problem with my gearbox a while ago (MX83 Cressida) which prevented lockup and I was amazed at how much better the car was to drive in traffic. Instant torque multiplication when I wanted it instead of waiting for the ECU to unlock the converter. The mod is as simple as a switch in series with the lockup solenoid. You may have to also switch in a resistor so that the ECU still thinks the solenoid is there, to prevent a gearbox trouble code. That sounds like a very interesting idea. I really enjoy your articles, and especially enjoyed the recent 'Michael's Speed Zone' report. I too am perplexed as to the slower 'reported' speeds of the Celica GT4 (I expect you are referring to the ST185 - 90-93 and not the 6s ST205). From my limited discussions with Toyota people, the ST185 was running 6lb boost through a 3.933 set of diff gears. This compares very unfavourably with the Rexs which I understand were running at 10lb boost and with a taller diff ratio. My ST185 runs at 12lb boost and through a set of 4.233 diff gers and does sub 6s 0-100s and mid-13 quarters. This is not atypical of other GT4 owners. Steve Bignall's ST185 (reported in an earlier AutoSpeed) was generating 200+kW at the wheels so it's a frightening prospect as to the potential of his car and especially the potential of the 3SGTE engine. BTW, the overseas reviews of the ST185s report 0-100 times of the low to high 7s. Could it be that the boost was different in the os production cars? Anyway, that's my 2c worth. Personally, I think the lines and the finish of the GT4s leave many of the other AWD cars for dead. My black GT4 turns the heads of other drivers including that of the Rexs and GSRs. But then again that's my bias!! I am writing in a follow up to your recent 'Money Pits' article and also to follow up on an article you ran about an APS upgrade to an MY01 WRX (starts at "MY01 WRX Power Up - Part 2"). 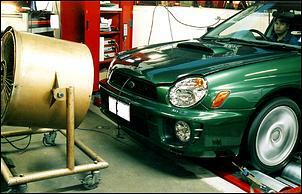 The APS-modified WRX was shown to gain a substantial increase in power, albeit at a cost in excess of $4,000. The point I'd like to make is that almost all of the increase in power can be gained at a much lower cost, simply by fitting the APS chip/boost control module. That's right, most of the power gain comes from that simple modification. Going further with a new intercooler, exhaust, intake etc ads a little bit more, but not much. I guess what I am trying to say is that once you've fitted the chip/boost control module, the rest of the APS kit might very well be considered as expenditure fitting into your money pit story....lots of money....not a lot of extra value. If you are looking for proof, I am happy to send you 'before' and 'after' dyno charts. The idea that there are some mods better than others at producing power is not uncommon, and we have no particular argument with what you have said. However, exhaust gas temps and intake air temps both will affect long-term durability - not something you'll find out on a dyno run. Just wanted to add a little to the 'Money Pits' story... For as long as I've read car mags (12 yrs or so) I've come across people asking technical advice like "How do I get more power out of my stock Pulsar, I've got a budget of $2000?" or "I'd like to get 12 second 1/4s out of my of V6 Commodore". It's frustrating to read this kind of stuff, as it's still going today! The point is (and you guys made it in your article) that people are too often short sighted and unrealistic when they choose their car in the first place. My friends and I often lament the fact that in 1991 when we were hotting up our turbo Datsuns and extend port rotaries (which BTW needed a complete suspension and brake makeover to be anything other than a primitive brake pad cooking, understeering death trap!) that the choice of things like the Liberty RS turbo, Laser TX3 4WD turbo or the Mazda Familia were simply out of our budget. Not so now! You'd have to be mad to overlook this kind of car if you're on a budget and you want performance, especially if your not too keen to do an engine, brake and suspension conversion yourself. The bottom line is it's false economy to buy something that isn't up to the task from the factory in the year 2002! That is unless you've got the means at your disposal to be able to put together a safe and quick car from the past, and most people don't! One letter from last week said, "I am doing a Gemini conversion at the moment to the 4CZ1 1.8 turbo. It bolts in and only cost $1400 aus dollars." Are you forgetting the exhaust, the engine management, the time on the dyno to tune the thing, the Gemini stopping and handling, possible radiator mods, wheels and tyres to get the power down (not mention a diff that can handle it!) plus a ton of other stuff I haven't even mentioned? So come on guys, don't annoy the editorial staff anymore wanting to know how to convert that Hyundai Excel to constant 4WD turbo - bite the bullet, get a loan and get a Galant VR4 or a VL Turbo or a Series 4 RX7! You'll be glad you did! Thanks for a great mag. 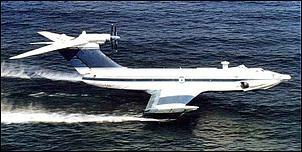 Just thought I'd let you know that recently (about a year ago) one of the aircraft you have in this weeks article ["Between Wind and Waves: Ekranoplans"] actually was doing tests in the Cairns inlet as part of its viability for regular operation elsewhere. I have seen other references to these amazing machines which utilise ground-effect and just figured they were slow to be fully brought out into the spotlight. But thanks for your article anyway, always informative.